Every system needs a line car for maintenance of the overhead trolley wire system. The ITS had several, assigned to different properties from time to time. Here is line car 1506. 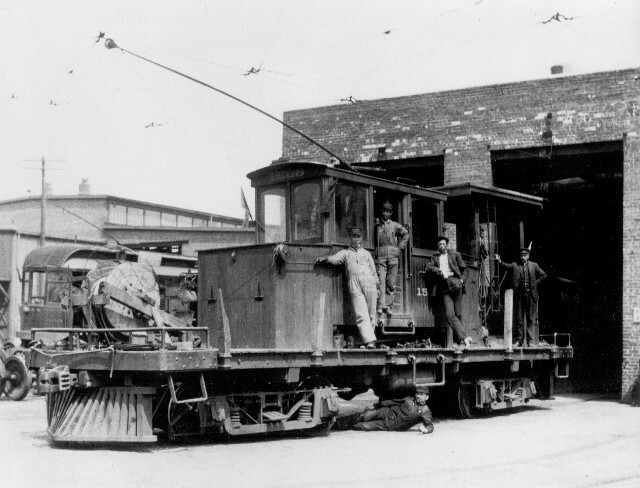 Built in the Danville shops in 1906 as a “pull motor”, it was rebuilt as a line car in March 1922. In August 1925, it was renumbered 1701, giving us a 1922-1925 date for this picture. As 1701, it served the interurban system until 1953. The man lying under the car is breaking all kinds of safety rules and being quite reckless, especially considering that the trolley pole is on the wire.